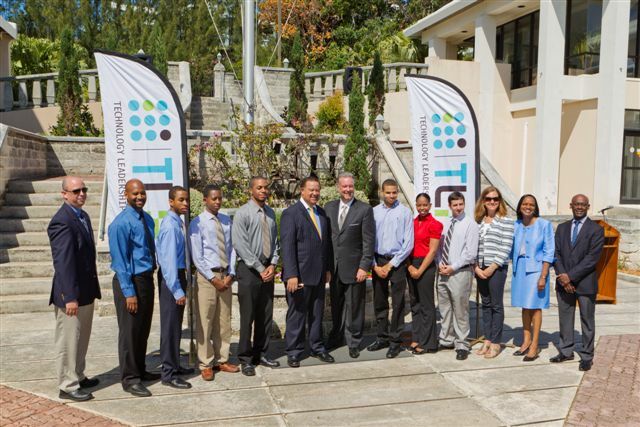 The fourth annual Technology Leadership Forum [TLF] Internship Programme, which aims to encourage Bermuda’s information technology [IT] students to become exposed to the many career directions that one can pursue, was launched today at the Bermuda College by the Minister of Business Development and Tourism Wayne Furbert today [May 31]. Eight students, Khayriyyah Joyiens, Brian Bothelho, Dorian Armstrong, Ben Groves, Remington Steede, Katrina Darrell, Sondai Smith, Sabur Taalib Bey, have been selected by the TLF and they will be part of an intensive 12 week summer internship program, where they will acquire experience in the ICT industry through classroom learning, team projects, and fieldwork as members of staff at a participating company. The TLF was founded five years ago because of a growing need for qualified Bermudian talent in the information communications technology [ICT] field. This registered charity is run in partnership between private sector organizations and the Bermuda Government. Christian Blais, VP of IT at BELCO and Co-Chair of the TLF said the aim of the TLF is to be the voice of the ICT industry representing both local and international businesses, in partnership with the Department of E-Commerce and other government partners, to develop and implement strategies that can address the shortage of qualified individuals in the IT sector. Companies often find that students do not develop skills in the specific areas where there is the greatest need in the industry. The TLF Internship Programme exposes participants to the many different areas of ICT, as well as developing soft skills to help them network with ICT professionals. It is expected that interns graduating from the program will become respected and accomplished members of Bermuda’s ICT workforce through experiencing the program and the specialized training offered. Moreover, participants are encouraged to network and develop relationships in the ICT community during the programme which may then assist them as they search for employment. Matthew Coelho, a 2011 TLF Intern who is pursuing a bachelor of informatics degree at Dalhousie University, spoke about how the TLF’s training courses allowed him to refine his academic path in university. 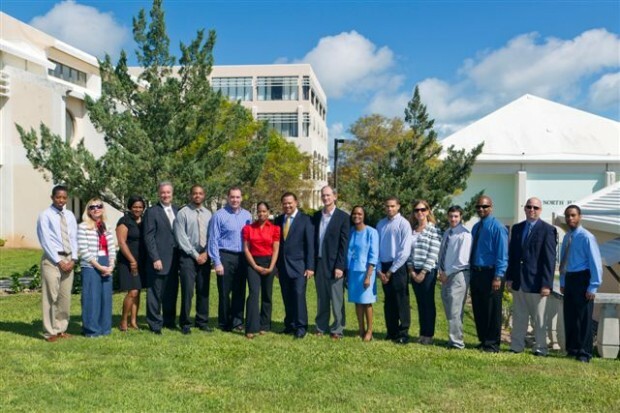 He also encouraged the 2012 Interns to network with the IT professionals that they meet throughout the summer because in Bermuda it’s not only what you know that counts, but also who you know. During this summer’s TLF Internship Programme, an invitation has been extended to IT teachers to participate in some of the training that the TLF students will be receiving. The goal is to assist these teachers to further support their IT students in the classroom.